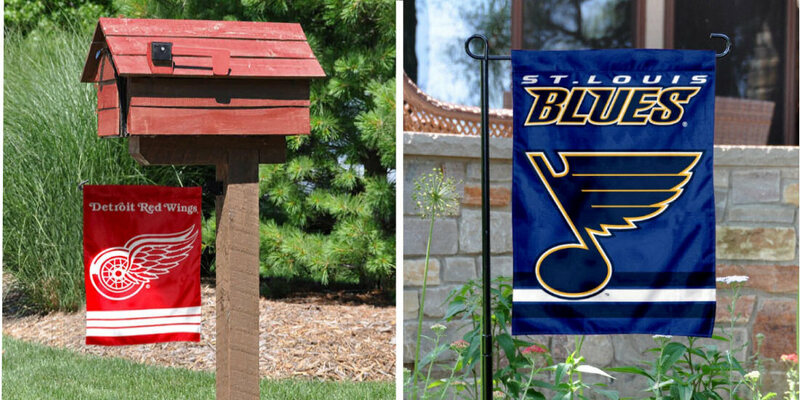 Our NHL Garden Flags are a perfect way to display your NHL team allegiance in your front entrance, garden, window, or any interior wall. These garden flags measure a large size 12.5" wide by 18" long and are made of 2-ply construction with a liner sewn in between each side so the graphics are double sided. These garden and yard flags can be displayed with any of our Garden Flag Accessories which include garden flag stands and poles. 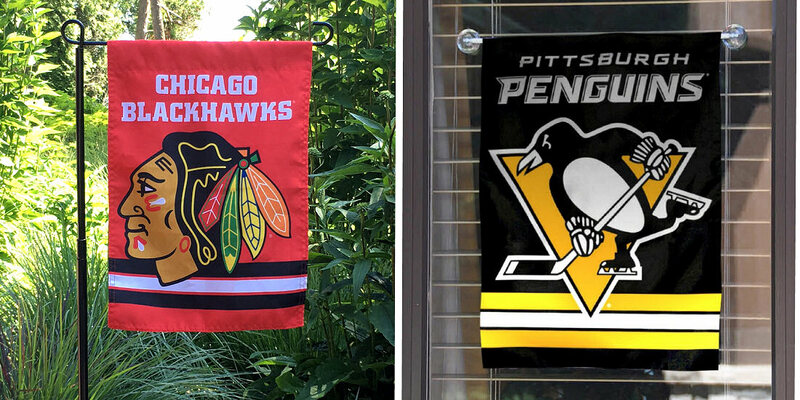 All NHL Garden Flags are Officially Licensed by the NHL which insures true colors, updated logos, and premium quality. If needed, see our NHL Banners, NHL Pennants, and NHL Flags for larger sized flags and banners.